OVER 30 YEARS OF EXPERIENCE IN DELIVERING PROFESSIONAL ASBESTOS CONSULTING SERVICES. Asbestos air monitoring on projects to help with EPA and OSHA compliance. Asbestos Management Plans that comply with asbestos regulations for buildings. Does this look too big to tackle? 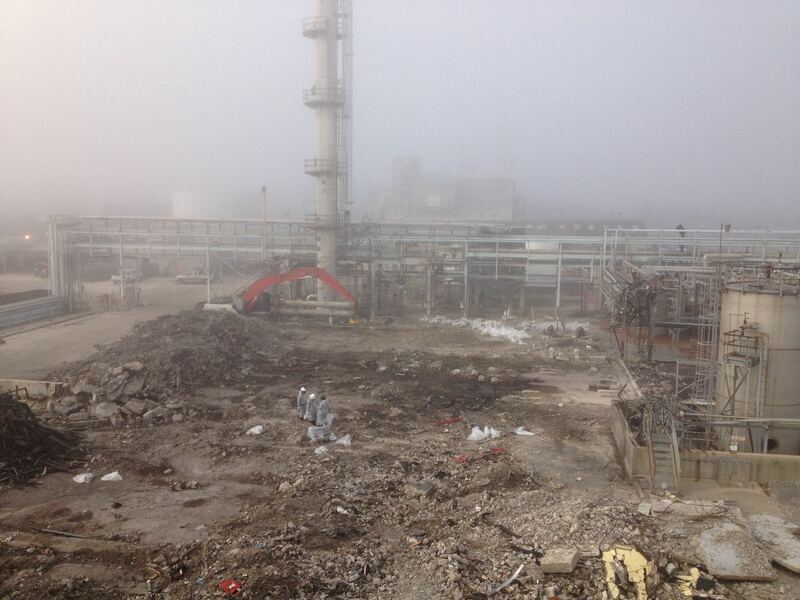 One of our petrochemical facility clients had a huge mess on their hands. They had a roughly 1,000′ x 1,000′ area that they thought was asbestos free. 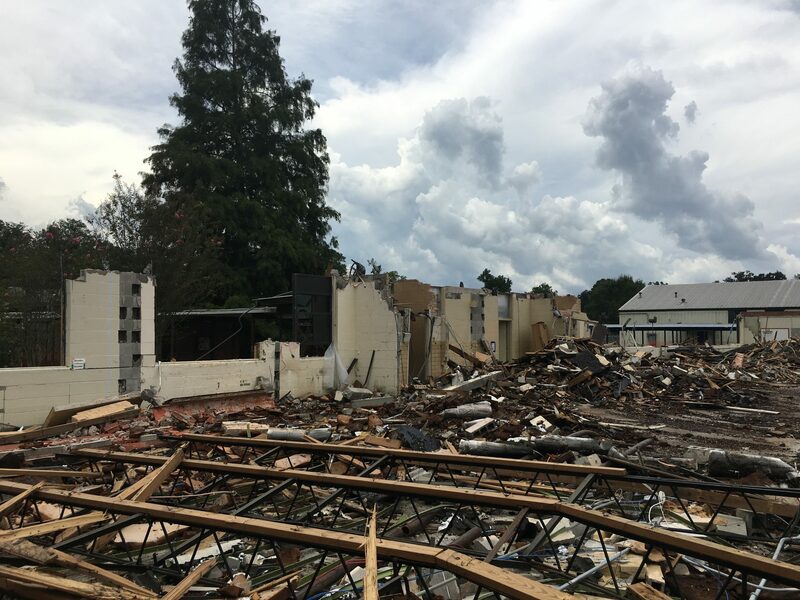 There were just two problems with that – a contractor had already started demolition, and the client discovered there was asbestos spread among the debris. What was the solution? We were able to help the client develop an action plan to separate asbestos containing materials from demolition debris, keep the demolition contractor working, protecting the demolition contractor, reduce exposure risks for personnel working at the site, and document asbestos exposure risks to asbestos cleanup workers. Demolition and abatement projects are messy, and public bid projects are super competitive. Cutting corners on environmental compliance is often times the first tactic in reducing project time and costs. Lately we’ve noticed a lax approach to some standard practices on asbestos abatement and demolition projects. On our typical projects, we have personnel onsite to perform air monitoring and contractor observation, and to act as the Owner’s representative at the site. We recommend having someone onsite who’s experienced in asbestos abatement and demolition and can spot problems quickly – and work with the abatement contractor to develop solutions. WE’LL HELP YOU COMPLY WITH ASBESTOS REGULATIONS WHILE HELPING you minimize facility downtime. Complicated asbestos projects often have simple solutions when looked at from all sides. We frequently help schools, hospitals, and industrial facilities complete complicated asbestos abatement projects that other consultants would have them shut down to attempt. If you’d like to learn more about our innovative approach to asbestos projects and how we can help you finish your project with minimal interruption to your operations, we’re ready to get started. Contact us today to get started on solutions to your asbestos project needs.